10 Foods You Should Never Buy | Whole Food. Real Food. Good Food. 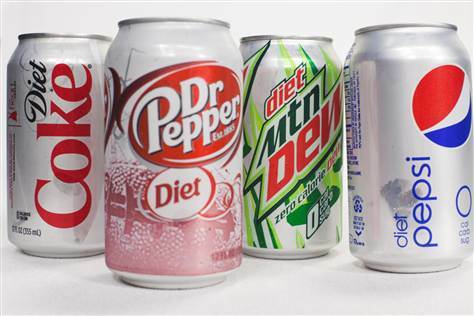 There are some 10,000 documented reports of adverse reactions to aspartame. It has been linked to migraines, visual changes, seizures, depression, and brain cancer. 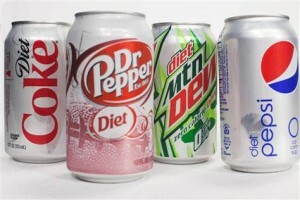 Aspartame is best known by the brand names NutraSweet, Equal, Sweet One and Spoonful. Aspartame is a synthetic chemical combination which is comprised of approximately 50% phenylalanine, 40% aspartic acid, and 10% methanol. Read more here. It has been banned by the FDA twice. 1. Most canned foods have a plastic coating inside the can to keep the food fresh inside. The inner plastic lining is Bisphenol or BPA, and it is a harmful poisonous coating that has shown to kill rats in laboratories even at concentrations 1000 times lower than what an average American consumes per meal. BPA is a toxic chemical that causes hormone imbalances and a wide variety of other health issues like hypertension, obesity, aggression, cancer and heart disease. The Environmental Working Group conducted a study and found that more than 50% of cans with brand names have toxic BPA in them. Cook your beans and veggies from scratch if you can! 2. Canned foods have around 80% less nutrients than fully ripe fruits and vegetables, and have about 15 times the amount of sodium you are required to eat for the day. This, of course, leads to nutrient deficiencies and heart and blood problems. 3. Aluminum cans leak (just like aluminum pots and pans). Most people are unaware that when food is packaged in a can, it is then heated up again to supposedly retain freshness. Heating up these aluminum cans actually leaks aluminum free radicals into the food. Over time, too much aluminum in the body can cause memory problems like Alzheimer’s. More than 5000 million pounds of aluminum is used every year for making aluminum cans – they are more light weight, and are a cheaper material to use for big corporations. Most canned foods like soups, vegetables, chicken or beef broth as well as tomato sauces are made out of aluminum because it is cheaper for the company. Even though these cans are lined (with BPA lining), this lining does not completely protect the food from leached aluminum particles during the can heating process. 4. There are so many preservatives in canned food, and all are referred to as something different. Every few months a new name is established for the same ingredient to come up with names that are more friendly-sounding. To counteract the effect of preservatives rotting the canned food, manufacturers add in copious amounts of salt (sodium). 5. The quality of food inside canned goods is really not that great. Companies will do anything to save a dollar, and this means packing in the lowest quality foods at all costs. An estimated 30 to 35 percent of people have gluten sensitivity. It’s increasing globally due to a breakdown of our immune tolerance caused by increased exposure to chemicals, medications, and stress, as well as poor nutrition. This results in an altered gut microbiome, dysfunctional gut enzymes, increased intestinal permeability, and a lack of vitamins and minerals necessary to support the immune system. People who are gluten sensitive and continue to eat it are at risk for developing autoimmune diseases like psoriasis, Hashimoto’s thyroiditis, lupus, and rheumatoid arthritis. More than 55 diseases have been linked to gluten, the protein found in wheat, rye, and barley. It’s estimated that 99% of the people who have either gluten intolerance or celiac disease are never diagnosed. Digestive issues such as gas, bloating, diarrhea and even constipation. Keratosis Pilaris, (also known as ‘chicken skin’ on the back of your arms). This tends be as a result of a fatty acid deficiency and vitamin A deficiency secondary to fat-malabsorption caused by gluten damaging the gut. Diagnosis of an autoimmune disease such as Hashimoto’s thyroiditis, Rheumatoid arthritis, Ulcerative colitis, Lupus, Psoriasis, Scleroderma or Multiple sclerosis. Neurologic symptoms such as dizziness or feeling of being off balance. Hormone imbalances such as PMS, PCOS or unexplained infertility. Diagnosis of chronic fatigue or fibromyalgia. These diagnoses simply indicate your conventional doctor cannot pin point the cause of your fatigue or pain. The single best ways to determine if you have an issue with gluten is to do an elimination diet and take it out of your diet for at least 2 to 3 weeks and then reintroduce it. Please note that gluten is a very large protein and it can take months and even years to clear from your system so the longer you can eliminate it from your diet before reintroducing it, the better. The best advice that I share with my patients is that if they feel significantly better off of gluten or feel worse when they reintroduce it, then gluten is likely a problem for them. In order to get accurate results from this testing method you must elimination 100% of the gluten from your diet. Eliminating gluten 100% from your diet means 100%. Even trace amounts of gluten from cross contamination or medications or supplements can be enough to cause an immune reaction in your body. The 80/20 rule or “we don’t eat it in our house, just when we eat out” is a complete misconception. An article published in 2001 states that for those with celiac disease or gluten sensitivity eating gluten just once a month increased the relative risk of death by 600%. Want to try a gluten & dairy free recipe? Try our Banana Blueberry Muffins! Try our Cacao Brownie Bites to see how good food can be without sugar! A 2012 study out of France confirmed the dangers of genetically modified food consumption. Rats were fed genetically modified corn chow on a daily basis for two years and the results included an exponential increase in mammary tumors, kidney failture and liver necrosis in the rats who ate GMO food compared to their control counterparts. Choose organic produce to ensure that you are not eating genetically modified foods. This link provides a free GMO shopping guide: http://action.responsibletechnology.org/p/salsa/web/common/public/signup?signup_page_KEY=7042. HFCS has been linked to diabetes, obesity, metabolic syndrome, and cancer. Because it’s liquid fructose, our bodies have a really hard time processing it. One hundred percent of the metabolic burden rests on our livers. And don’t forget, HFCS generally comes from genetically modified corn, which has its own host of problems! Store-bought alternative milks are often full of added sugars, preservatives, and thickeners such as carrageenan which research has shown causes inflammation. When laboratory mice are exposed to low concentrations of carrageenan for 18 days, they develop “profound” glucose intolerance and impaired insulin action which can lead to diabetes and other chronic diseases. Make your own alternative milk at home! If you want to try almond milk in a recipe, try our Banana Almond Smoothie. If you don’t have time to make your own almond milk, Silk Brand is a good choice because it does not contain carrageenan and most brands of almond milk do. Not only do processed foods lack nutrient density, but they are full of harmful chemicals such as food coloring agents and BHT, which have been linked to cancer and other chronic disease. Processed foods also have a slew of added sugars and high-fructose corn syrup which can weaken our immune systems and promote disease. Processed meats are usually manufactured with a carcinogenic ingredient known as sodium nitrite. These meats include bacon, sausage, hot dogs, sandwich meat, packaged ham, pepperoni, salami and virtually all red meat used in frozen prepared meals. Choose whole foods. Every recipe on this site contains only whole foods, nothing processed! Trans fats are twice as dangerous for your heart as saturated fat, and cause tens of thousands of premature heart disease deaths each year. Check the ingredient list for any of these words: “partially hydrogenated,” “fractionated,” or “hydrogenated,” and stay far, far away. It is also important to remember that if a label says the product contains “no trans fat” or “not a significant source of trans fat” it can still contain trans fat. The FDA regulations state if the product contains less than .5 grams of any fat per serving, they are allowed to list it as 0 grams. Read ingredient labels carefully and don’t trust what is written on the front of a product. Use coconut oil, olive oil, grass-fed butter, or ghee in your cooking. Always choose glass or a stainless steel bottle. Soft plastic bottles contain a number of harmful such as the carcinogen di-2-ethylhexyl-adipate (DEHA) and bisphenol-A (BPA), a known endocrine disruptor. Studies do indicate that there is a leaching potential, especially when hot water is involved, as the heat can encourage the plastic to off-gas, and in the bottle, the off-gassing vapors have nowhere to go other than directly into your water. Here are the options we have chosen for our water bottles: http://wholefoodrealfoodgoodfood.com/getting-started/week-4/. This article was written by Dr. Alejandra Carrasco and was published in MindBodyGreen.